This degree gives you an insight into the challenges of global development. It explores how the competing challenges of inequality, poverty reduction, economic growth and social development are negotiated and contested, alongside ways in which people and institutions respond to these challenges. Core modules in the programme introduce you to key issues such as the impact of colonialism, how different agencies contribute to development and how development operates in practice. You’ll also be able to choose from optional modules in your final year, allowing you to specialise in the regions, countries and themes that excite you most – and even spend a semester studying at one of our chosen partner universities to gain a new insight into development. Our International Development teaching team is comprised of academics who are leaders in their fields. Many have advised national governments, NGOs and transnational organisations in their specialist areas, and have experience of living, researching and conducting fieldwork in the Global South. Our real-world academic, practitioner and policy-making perspectives will provide you with insights into the major political, economic, social and cultural issues affecting people in the Global South and how these experiences link with political, economic and social change in the Global North. 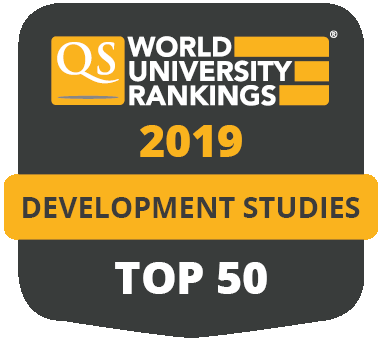 This course also has strong connections to active research centres across the University that are involved in teaching, researching and debating international development topics. You’ll have the chance to get engaged with units such as the Centre for Global Development (CGD) and the Leeds University Centre for African Studies (LUCAS). Each stage of the degree involves core modules that enhance your knowledge of development challenges and their perceived causes; enrich your understanding of theories of development and Southern responses to underdevelopment; and build the hands-on skills you'll need in the professional workplace. You’ll also be able to choose discovery modules from across the University. Year 1 equips you with the skills you’ll need to study and research international development. You’ll begin to consider the causes and factors that have influenced modern development challenges, examining the effects of colonialism and the legacy of colonial rule across the Americas, Africa and Asia. You’ll also put your development knowledge into the context of political theory and international politics. A further core module provides key insights into global development challenges and how these might be tackled. Particular attention is paid to the relationship between economic, social and political factors that shape development processes. This includes exploring, for instance, how global-level commitments to promote socially just development, such as ‘Education for All’ (EFA) and the Sustainable Development Goals (SDGs), align with dominant economic development priorities, and the ways in which these different ideas are taken up in a diversity of regions and countries. Building on this foundation, core modules in Year 2 will allow you to explore the theoretical debates that underpin international development. You’ll also see how theory translates to real-world situations, as you examine aspects of development practice and a wide range of development agencies. You’ll also improve your research skills and gain an understanding of the methods and techniques used to create new insights into the subject. Diverse optional modules will allow you to focus on related topics such as public policy, security studies and international relations. If you choose to spend a semester abroad during this year, you’ll study modules at your host institution that replace some of those you would be expected to take in Leeds. Much of your final year will be dedicated to your dissertation – an independently researched project on a topic of your choice, which allows you to demonstrate the interdisciplinary, critical and research skills you have gained. To complete your studies, you’ll choose up to three optional modules from a set related to international development, and you could choose up to two modules from across the School of Politics and International Studies, including topics such as US foreign policy and political psychology. We use a range of teaching and learning methods to help you gain diverse skills. These will include seminars and workshops where you can discuss in more depth the topics set out in traditional lectures. We emphasize the importance of participation, presentation skills and group work. Modules will use a variety of assessment methods. As well as traditional exams, you could also be asked to complete projects based on essays and case studies, policy briefs, group presentations, work logs, research briefs, project proposals or development agency reviews. In your final year you’ll also submit a 10,000 word dissertation. When an applicant is taking the Extended Project Qualification (EPQ) this can be considered alongside A-levels and may attact an alternative offer in addition to the standard offer. If you are taking A Levels, this would be BBB at A-level including grade A in the EPQ. Complete 60 credits with 45 credits at Level 3, of which 30 credits must be at Distinction and 15 at Merit or higher. This course will give you in-depth knowledge of debates, approaches, strategies, politics and programmes in the field of international development. It will also equip you with an understanding of project design and management in the international development context, as well as skills in research, analysis, using qualitative and quantitative data, communication and decision-making in complex situations. Our course equips you for various career paths. Compatible careers include working in international development agencies, international organisations, governments, politics, NGOs, research organisations, policy making, companies, media, and academia. 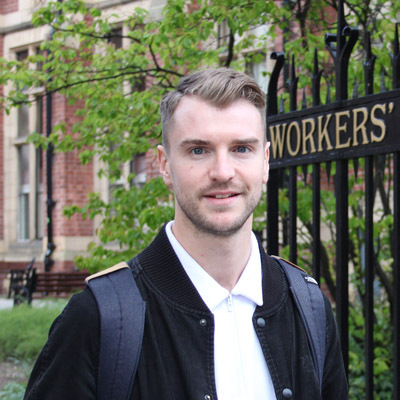 Our graduates have gone on to work in, for instance, non-governmental organisations in the UK or overseas, research and consultancy firms, international organisations (such as the UN), the Civil Service, the media, or have continued with further study. This course also offers you the opportunity to spend a semester studying at one of our chosen partner universities in a developing country (as long as you achieve a minimum grade in Year 1). The modules you enrol on there count towards your degree, meaning you don’t have to catch up on the modules you would have otherwise taken in Leeds. While on the semester abroad you could also get involved with volunteering and learn from local charitable organisations and NGOs to see first-hand the daily work and challenges that are part of running such organisations. It’s a fantastic opportunity to gain experience of another culture and gain a new perspective to inform the rest of your studies.